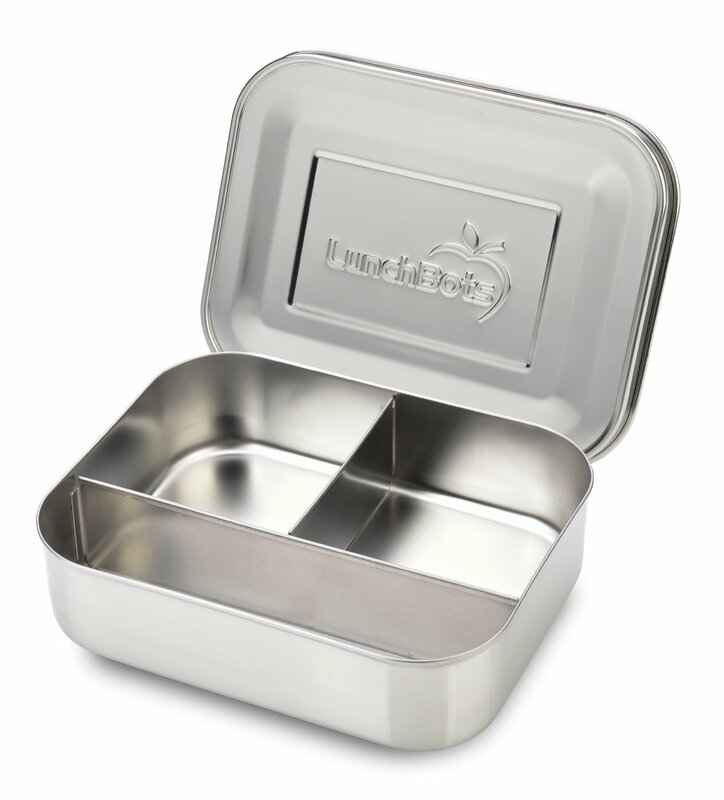 Home › Home and Kitchen › Lunchbots Trio Stainless Steel Food Container - Three Section Design Perfect ..
GREAT FOR EASY SNACKS: At 6" by 5" by 1.75" and featuring three compartments, our small storage containers are the perfect size for nutritious snacks and finger foods! Kids and adults can use it for their favorite sides at lunchtime, or it can hold a full meal for toddlers. PORTABLE CONVENIENCE: From deviled eggs at a picnic to fresh fruit and nuts on a hike, these are the best food storage containers for traveling, family car trips or snackers on the move! The Trio was designed for variety, however, because the lids aren't watertight be sure to pack only dry foods. DISHWASHER SAFE: For a super-simple cleanup, just toss your Trio and lid in the dishwasher. Color: Stainless Steel Pack, Snack and Go Anywhere! When you're heading out on a road trip or you're packing your bag for anafternoon in the park, snacks are always great to bring along. Keep things simple with a Trio SnackContainer from LunchBots! Measuring 6" by 5" by 1.75", you can easily slip it into your purse, bag orbackpack without taking up much room or adding excess weight. While it's great for snacks and fingerfoods, kids and adults can use it for fruit, chips or other sides at lunchtime. It can even hold a full meal fortoddlers! From picnics to road trips and anywhere in between, the Trio is a must-havefor busy days and on-the-go schedules. The three section design makes dividing food groups easy,and because it keeps foods separate, it eliminates the need for multiple containers! At theend of the day, just throw it in the dishwasher for a super-simple cleanup. What's the point of packing healthy food in a container loaded with chemicals?We use durable 18/8 stainless steel to create the Trio, providing you with a safe, toxin-freeproduct. Our fun lid covers are even BPA-free and add a splash of style! Why Choose the Trio? - Perfect for sides and snacks - Go-anywhere convenience - BPA-free design - Environment-friendly, dishwasher safe - Made of durable 18/8 stainless steel Our Customer Service Team is Standing By to Handle Your Questions! Stock is limited. Order today to ensure availability. Order Your Trio Now and Snack on the Go!